As part of our continuous commitment to provide our patients with the most advanced technology available, we offer various treatments involving laser dentistry. Laser dentistry offers numerous benefits over traditional dentistry. Based in Jacksonville, Dr. Burgess has been actively involved in the field of laser dentistry since 2003. He has further been instrumental in educating many dentists on the use of lasers and their potential for various applications in cosmetic and general dentistry. Specific and unique advantages of laser dentistry include disinfection and sterilization, removal of cavities, gum lifts, gum and bone surgery, and healing of ulcers, plus many other procedures. Moreover, procedures involving laser dentistry offer less discomfort faster recovery and healing time than traditional dentistry procedures. Dr. Burgess is an experienced clinician in using the Odyssey diode laser technology. He uses this laser for soft tissue modification, preventative care and smile design. In effect, in Dr. Burgess's hands, this laser reshapes the gum tissue and enhances your smile by giving your teeth a more balanced appearance. The Diagnodent laser is another state of the art laser used by Dr Burgess. It allows detection of cavities much earlier than using the traditional dental instrument, so that fillings can be done without Novocain.This new laser technology has enabled Dr. Burgess to scan the tops of his patients' teeth for decay. He performs the procedure by shining the laser over the tops of the teeth and when decay is discovered, the laser reacts by sounding an alarm. The sound of this alarm tone increases as the cavity size increases. The FDA (Food and Drug Administration) has approved several high-tech lasers as safe for both pediatric and adult dentistry. Dental lasers are similar or identical in function to other medical lasers that doctors have successfully used for many years in other surgical specialties. 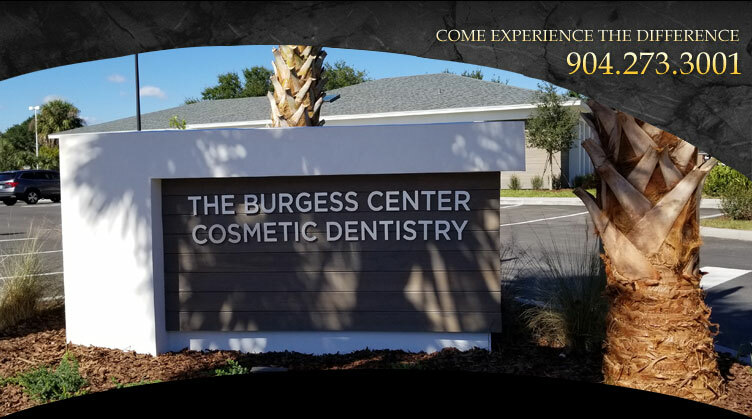 To discuss your options with a Jacksonville laser dentist, call the Burgess Center for Cosmetic Dentistry at (904) 273-3001 to schedule your consultation.